Event Graphics - Repros Inc. 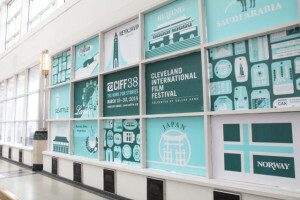 Event Graphics are a core production solutions for digital, large format printing. Typically, a few each of many graphics. Graphics are short term, but can be used over again, they are specifically designed to fit the venue and can include indoor &/or outdoor requirements. Graphics provide for Event Advertising, direction & sponsorship. Banners provide a canvas of custom sizes where the length and height are customized for each location. They can be simple banners that are sewn with grommets, or can be finished with any number of solutions to provide for hanging or mounting to specification. Not only strong scrim banners, but media backdrops, Fabric, fence Mesh, speaker mesh, Canvas, Paper, and many more substrates. Banners can be one sided or two sided. Lobby displays often use a variety of foam products. Foam Board is the most common lobby board that can direct attendees to events by placing them on easels throughout a venue. Heavier and thicker foam products like Mighty Cor or Gator Board allow for more rigid displays that can provide complete information on special stands. There are also many new biodegradable and recyclable medias which are excellent alternatives to traditional substrates. Changeable direction arrows provide easy changes to directions once signs are placed. Banner stands are also very common at events. Easily placed in appropriate locations, packed up in light cases and moved to be displayed again. 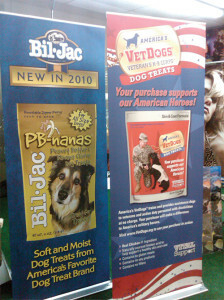 Banner stands come ins sizes of 8’ wide and larger for unique situations. Common uses now are quick Media Backdrops. Windows, walls and ceilings are also areas where new unique products offer message, sponsor and advertising space. Sign-a-cades and other custom stands offer outdoor message boards for directing attendees and workers to entrances, transportation and more. Vehicle graphics provide for event advertising and sponsorship opportunities.